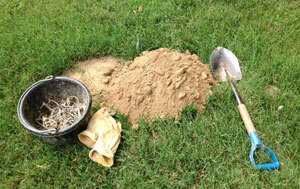 Don't let Moles take over and ruin your beautiful lawn! Have a question? Read our frequently asked questions. Read 2015 Stats for average moles per customers or total moles trapped! 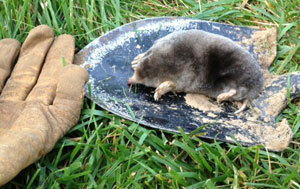 We have been trapping moles in the Louisville, KY area since 2006. We offer full service mole trapping at unbeatable prices. So if you have been dealing with mole issues and are about to throw in the towel give us a call. We use NO poisons or sprays and we do not live trap and relocate. The traps we use are kill traps that pose no danger to your children or pets. Our method provides evidence that the mole was caught alleviating the concern of the same mole causing new damage. 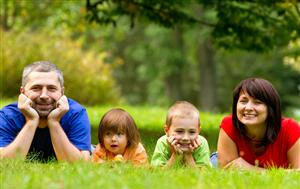 Our goal is to be your last stop in your long difficult journey to reclaiming your lawn. There is no shortage of ideas from friends and neighbors that they guarantee will work. Most only waste your time, money, and patience. Discover why our customers refer our services to their family and friends. For those of you who haven't given up the fight and still want to pursue mole control on your own the "Easy Set" Mole Eliminator trap is a must have. In our opinion this is the most effective and user friendly trap available for the homeowner and is made in the USA. The Easy Set Mole Eliminator is available at The Secret Garden in Westport Village, Louisville, KY.